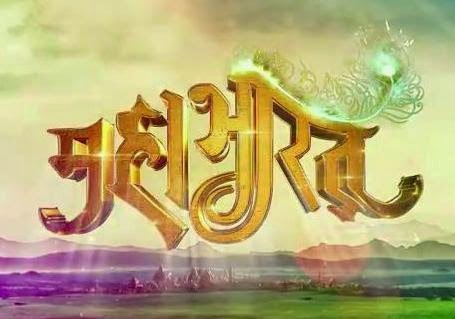 Scrutiny: Mahabharat explains all aspects of life.. The Mahabharat contains the cultural history of great (mahãn) India (Bharat). Most of the people often call it as mythological; let me make it very clear it's not MYTHOLOGICAL. because the word mythological means based on MYTHS, where as‘Mahabharat’ is a documentary poem based on true events. Written by Maharshi Veda Vyãsji, Mahabharat is the fifth Veda. It contains eighteen parvas (chapters) and a hundred thousand shloks. The author has made it clear that nothing worth saying has been left out, and that nothing pointless has been said. ALSO READ: Lyrics & English Translations of Draupadi entry song,'Kumari Chapi Panchali' from Mahabharat ! Dharme cha arthe cha kaame cha mokshe cha bharatarshabha. Yadhihasti tadanyatra yannehasti na tadkvachit..
Hindi Translation: महर्षि वेदव्यास ने घोषणा की थी कि धर्म, अर्थ, काम और मोक्ष के सम्बन्ध में जो कुछ महाभारत में कह दिया गया है उसके बाद कुछ कहने को शेष नहीं रहता. Dharm, arth, kaam tatha moksh mein vibhajit ye sakal vishwa..Mahabharat ki katha mein samahit hai..Hey Raja Arjun, jo isme nahi woh anyaat kahi nahi..
English Translation: O Arjun!. O scion of the Bharat race, whatever dharma, artha, kaam and moksha exists in the world, exists in the text, whatever is not in the text does not exist elsewhere.. Thus, Mahabharat can be seen in the world, and whatever has not been said here is not to be seen anywhere in the entire Universe. The complete divine volume of this book explains all aspects of life and is considered as an encyclopedia of India’s sanãtan dharma (cultural) history. That’s the main reason it has attained great respect in world literature.